Create an inviting new look for your bedroom and bath with our Victor Mill Caicos comforter sets and curtains from The Curtain Shop. 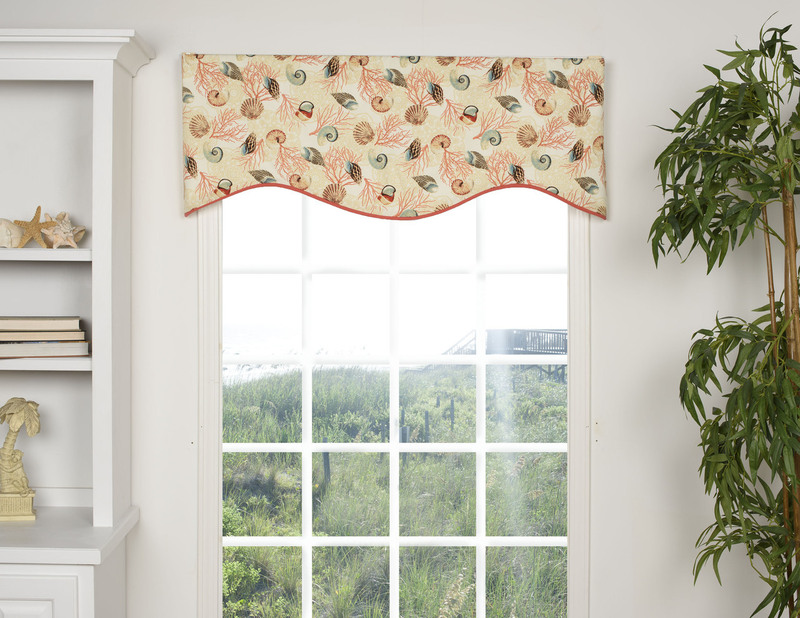 A pattern of seashells and corals in soft cream, coral, salmon and brown colors define the Caicos collection by Victor Mill of comforter sets, drapery, valances and shower curtains. 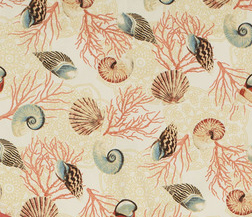 We also have Victor Mill Caicos pattern fabric by the yard to add a custom look to your home. 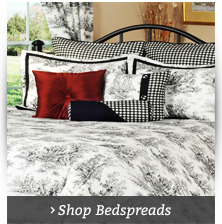 We offer affordable prices on all American-made Victor Mill bedding and window treatment sets. 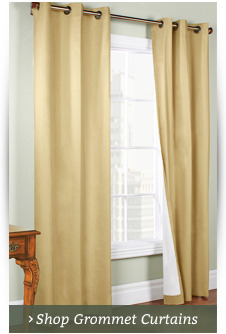 These curtains and comforters are made of 100 percent premium cotton. 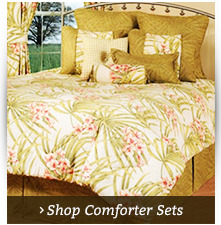 Comforter sets range from twin sets to California King comforter sets with solid coral or underwater pattern pillows and bed skirts. 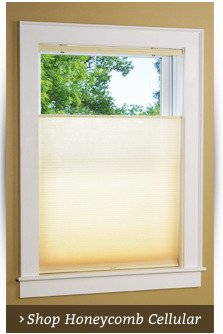 For your new curtains, we have beautiful choices in curtain rods. 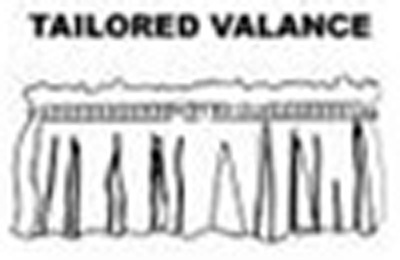 Our American company has been negotiating lowest prices on designer bedding, window treatments and accessories for more than 60 years. That's why we back our low prices with our price-match guarantee on qualifying orders.